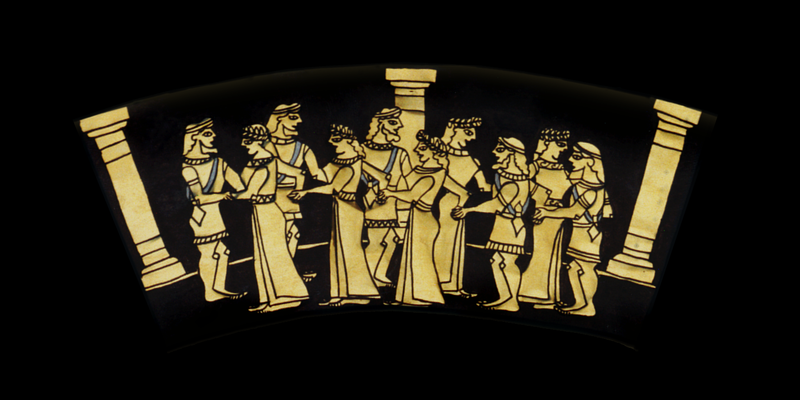 That Daidalos made for King Minos’ daughter, the beautiful Ariadne. Young men he pictured with noble young girls, all dancing there, hand in hand. The men wore tunics gleaming with oil, and gold daggers on silver chains.